Acorus gramineus 'Ogon' is a stunning yellow and green variegated plant, with long grass like blades. The leaves are also attractively arranged in fans. The plant is evergreen in all but the most extreme winters. It prefers moist soil but will thrive in any fertile garden soil. 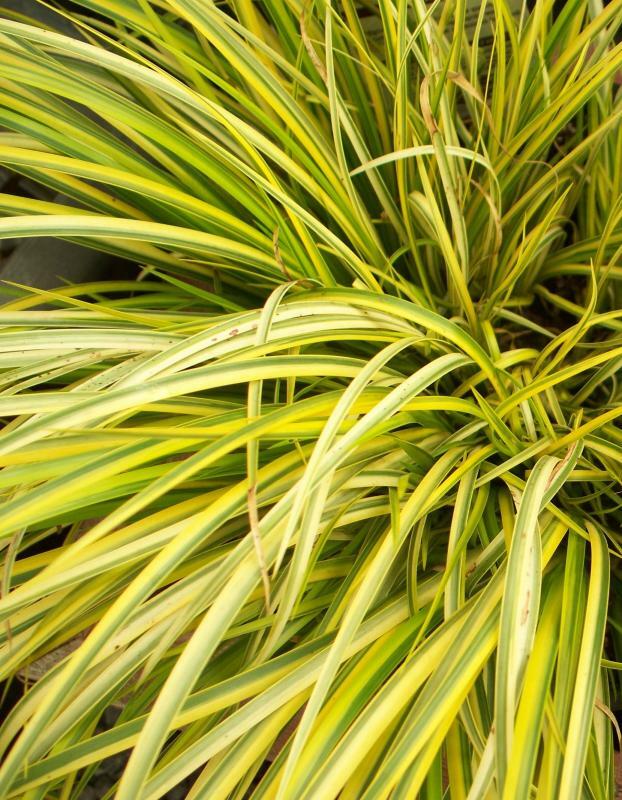 Grow in full sun to retain the bright foliage. An ideal plant for containers. Height is 25 cm, spread 15cm. Supplied in a 9cm pot.